Les post-actes internationaux EGC regroupent une sélection des meilleurs articles présentés lors des dernières éditions des conférences EGC. 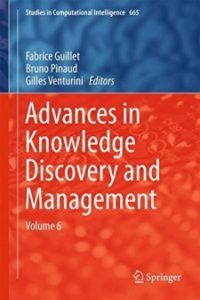 Il sont publiés par les éditions Springer sous le titre « Advances in Knowledge Discovery and Management ». 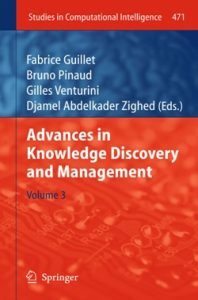 A ce jour, plus d’un millier de chapitres ont déjà été téléchargés sur SpringerLink, la plate-forme en ligne de l’éditeur. foundation of the International French-speaking EGC society (EGC in French stands for “Extraction et Gestion des Connaissances” and means “Knowledge Discovery and Management”, or KDM). 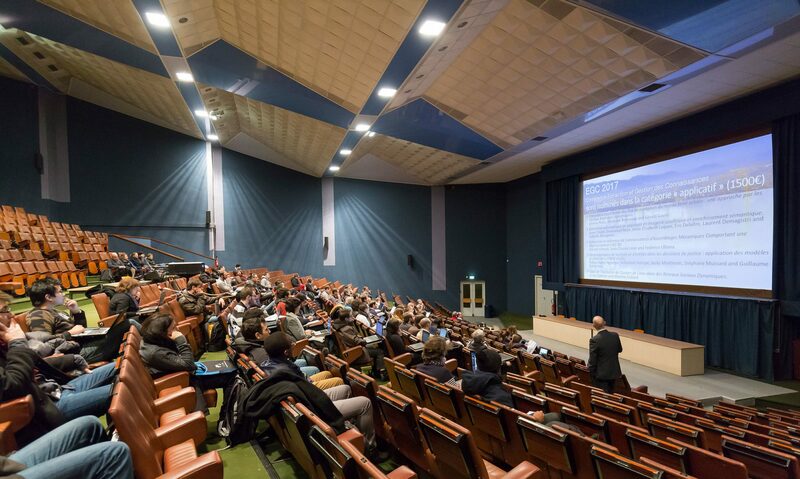 This society organizes every year its main conference (about 200 attendees) but also workshops and other events with the aim of promoting exchanges between researchers and companies concerned with KDM and its applications in business, administration, industry or public organizations. For more details about the EGC society, please consult https://www.egc.asso.fr. 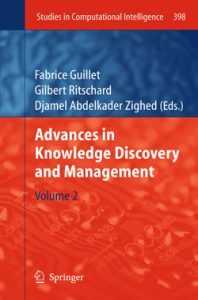 This book is a collection of representative and novel works done in Data Mining, Knowledge Discovery, Business Intelligence, Knowledge Engineering and Semantic Web. 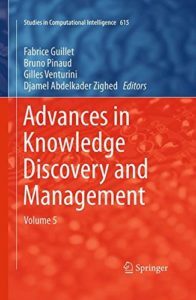 It is intended to be read by all researchers interested in these fields, including PhD or MSc students, and researchers from public or private laboratories. It concerns both theoretical and practical aspects of KDM. 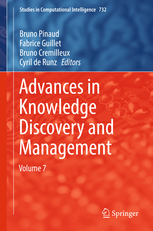 Mining, classification and queries”, deals with rule and pattern mining, with topological approaches and with OLAP. Three chapters study rule and pattern mining and concern binary data sets, sequences, and association rules. Chapters related to topological approaches study different distance measures and a new method that learns a hierarchical topological map. 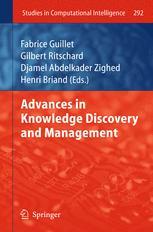 Finally, one chapter deals with OLAP and studies the mining of queries logs. 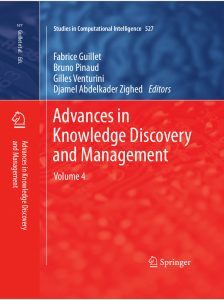 The second part of the book, entitled “Ontology and Semantic”, is more related to knowledge-based and user-centered approaches in KDM. One chapter deals with the enrichment of folksonomies and the three other chapters deal with ontologies. Et il est également indexé par DBLP.